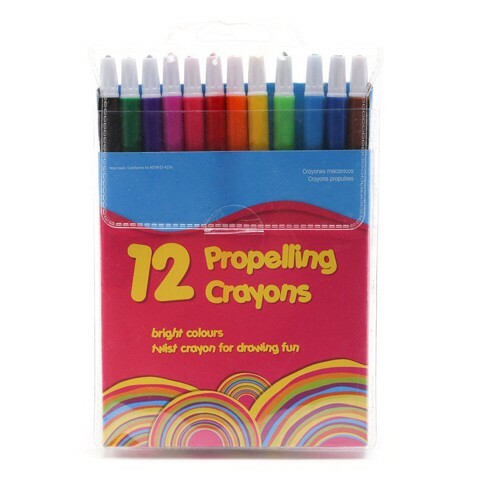 Crayons Propelling 12Pk. 16.5cm. 12 Assorted Colours Per Pack. Plastic Shaft and Cap. 130G Packaging: PVC Bag with Insert.